Well, I'm finally starting the 2019 recruiting topic after months of discussing them on the 2018 recruiting topic. Thanks to UAC and tedbear for nominating me, this is really exciting haha. 2019 is an extremely important year for recruiting, as we are losing 3/4 of the Dream Team (Kathleen, Amy, and Katie), as well as Jenna. The class of 2019 is nowhere as strong as the 2018 class, but still has some solid prospects. I'm thinking that if we land 6 solid recruits, it'll be solid. I haven't finalized my list yet, but here's three that are definitely on my list. I'll be discussing some more prospects later on in this topic because I don't want to overwhelm people. She's been talked about multiple times, but my #1 pick for a Cal recruit would be Isabel Ivey (#1 Nat, #1 FL). She's a pretty darn reasonable choice, as she's friends w/ multiple Cal swimmers/commits, such as Cassidy and Reese, and she also follows both the men and womens' teams on Instagram. She's extremely versatile, with her best stroke being free, and her second best stroke being...uh...basically everything. Versatility is something Teri values, so I can easily see Teri targeting her as a recruit. My second recruit would be Zoie Hartman (#5 Nat, #1 CA). She's a local, and an excellent breaststroker, and is great in freestyle and IM. 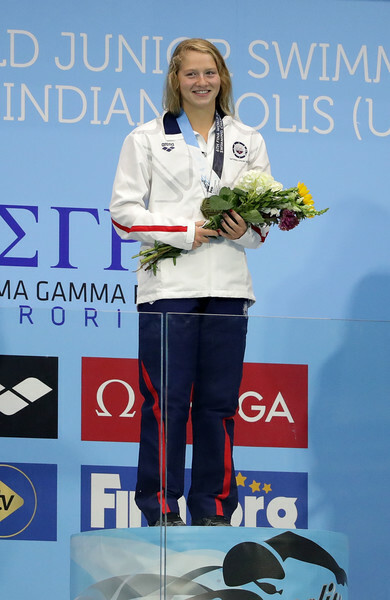 She performed extremely well at Junior Nats this weekend, and dropped from a 1:00.5 to a 59.8 and went from a 2:11.8 to a 2:08.6, making her the superior all-around breaststroker (as compared to 2019 IU commit Emily Weiss). She's from the same team as 2018 men's recruit Daniel O'Connell, who's coach is Ethan Hall, who is Natalie Coughlin's husband. Again, with the versatility thing. For my third recruit, I struggled on whether I'd prefer a local or a swimmer that we have a connection with (Carmel Swim Club), but ultimately, for my third recruit, it'd be Chloe Clark (#17 Nat, #3 CA). You might be wondering as to why I chose a "lower-ranked" recruit, it's because of her versatility. I tried to find the most versatile recruits, and I think that a lot of the distance swimmers (Donohoe, Heckman, Sims) are ranked too high, especially when they can only swim 500/1000/1650 free (I'm a fan of distance freestylers, don't get me wrong.) However, Chloe is pretty versatile, with her weakest stroke being butterfly, in which she still has a solid time of 55.15, though her best event is IM. Sorry if that was a bit too lengthy/statistic-heavy, I love numbers lol. Here's some information copied from the previous topic, and updated for after Winter Nats. Please tell me if any corrections are needed. I thought it'd be interesting to look at one final aspect: which schools the recruits are likely to commit to. The reason why I didn't put Kate Douglass on the list is because I'm not sure she's even looking at Cal (also because she's not as versatile but anyways). On Instagram, she's following Stanford, UVA, Duke, USC, and UNC, as well as ASU coach Straton-Mills, and all the UVA coaches. She's friends w/ Kaki Christensen, who's a UVA commit, and as one of you guys found, was pictured w/ an LSJU sweatshirt. However, if she would commit to Cal, we'd happily welcome her She's also friends w/ 2018 baby bear Alex Sumner, so there's that. She's followed by UGA, USC, Michigan, UVA, UofA, UNC, and our own coach Dunleavy, which means that she's on their radar, even if we're not on hers I'm thinking she's a UVA lean. Maddie Donohoe seems to be looking at UVA, but she's not following any other swim accounts. UVA (and all their coaches), UofA, ASU, OSU, and more. She's good friends with UGA commit Dakota Luther as well as Kate Douglass, so that may affect her decision making. UofA recruiting will be interesting to follow because Busch did take along w/ him Cory Chitwood, who is a great distance coach, but I dunno about how the rest is going to go. Katharine Berkoff is following UGA, OSU, ASU (and their coaches), Tennessee, UofA, Louisville, NC State, UVA (+ coaches), UNC, USC, and Michigan. She's not following Cal or Stanford, but she is following Coach Dunleavy (who's following her back!) which at least means Teri (or at least Sarah) is interested in recruiting her She's followed by UGA, USC, Michigan, UVA (+ coaches), UofA, ASU (+ coahes), Louisville, OSU, NC State (+ coaches). 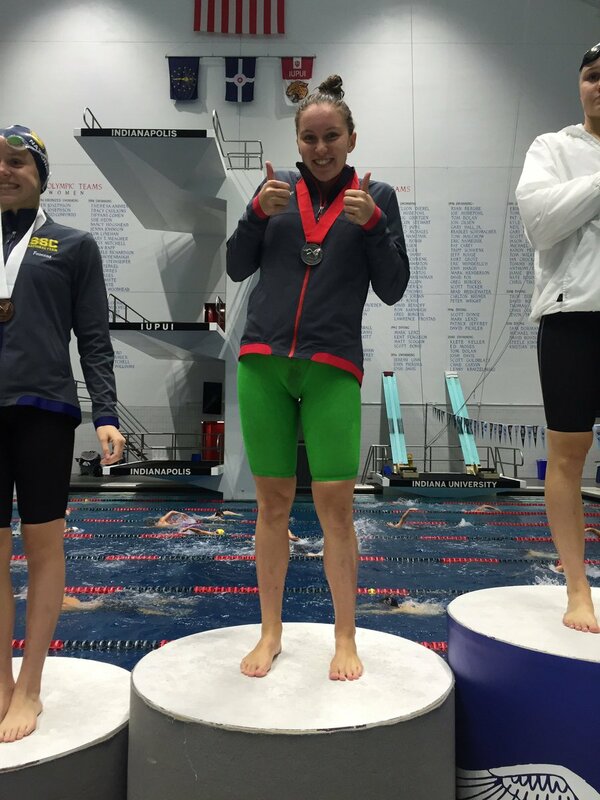 200 breast: Zoie Hartman (#5 Nat, #1 TN): 2:08. Nice compilation of statistics, bearz012! However, would you mind checking Isabel's time on that 200 IM? I believe she went a 1:55.77 at Nationals two weeks earlier, according to CS. Great work bearz012! It's going to be impossible replacing Kathleen, Amy, and Katie . I completely agree that Isabel is number one on all of our wish lists. Also, agree that 2019 is not nearly as deep as 2018. I have no idea yet who else to put on my dream list, but hoping for a high end international to help us keep pace. Nice compilation of statistics, bearz012! However, would you mind checking Isabel's time on that 200 IM? I believe she went a 1:55.77 at Nationals two weeks earlier, according to CS. Nice job, bear012. Thleen, Amy, and Katie scholly $s translates to more than three recruits, especially if two are in-state. Losing both Thleen & Amy makes a high end backstroker a huge need.. Izzy's best value is as a sprinter, but her back times are solid which makes her the clear top priority. Maddie/Cassidy/Elise can hold down the fly legs. - Florida (3), California (5), Virginia (3), Texas (3) have the most depth, with California having their #5 swimmer still being top 25 nationally. It will be particularly interesting to see in which direction Coleen Gillilan and Kelly Pash's recruiting will be headed. 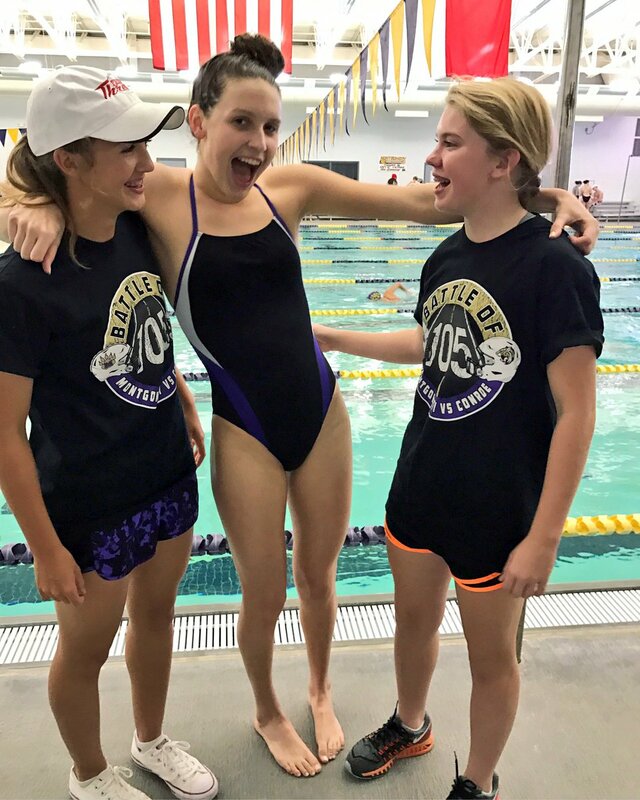 For starters, Gillilan swims with FAST Fort Collins, the club that has produced LSJU bound Zoe Bartel, NC State commit Kylee Alons, and Notre Dame commit Bayley Stewart. I'm going to assume that they're all very close, and have been on multiple relays with one another, as highlighted by this past weekend's Winter Juniors meet in Iowa. She's very versatile, as highlighted by the events she swam at Juniors, and that's what most colleges want in a swimmer. As for Kelly Pash, from Carmel (Amy), she's friends with Emma Nordin, Samantha Burchill (spelling? ), and Gertrude Rothrock. The three are, respectively, a freshman at Arizona State, freshman at Georgia, and Tennessee commit. As is the same case with Coleen, Kelly is very close with the three and it's going to be a dogfight to see which school she ends up with. She was a member of the World Junior Team in Indy, so that may play as a factor as well. These two are perfect examples of how teammates can have influence in a swimmer's decision. Kaitlynn Sims (and ultimately the rest of the Nordmann sisters) from the Magnolia Aquatic Club in Texas has the instant connection with 2018 Furd commit Lucie and current freshman Emily Reese at Texas; Ella Nelson (and albeit the Walsh sisters) have ties with 2018 Furd Allie Raab, Kate Douglass to 2018 UVA commit Kaki Christensen, and so on. Would like to note that the second of the four Nordmanns, Lillie, was spotted on an insta post sporting Furd attire... not sure if she's in favor of their team or straight up supporting Lucie. Forgot to note that from Isabel's club, Gator Swim Club in Gainesville, FL, wherever she commits, will also play a key role in the recruiting of fellow teammates (also 2019) Talia Bates and Caitlin Brooks, along with the other age group stars from GSC in the next few years. Great information. Also would like to point out that Pash's SO, Drew Kibler, is going to Texas, so she's definitely going to look there. Wouldn't be surprised if she committed to Texas, as their freestyle program is very good. In addition, if we could also recruit Talia Bates (c/o 2019) who is Isabel Ivey's teammate in both club and high school that would also be a stellar catch. Talia: "So proud to announce that I have committed to the University of Florida! There is no place else that I would rather swim and study! Thank you to my family, coaches, and teammates for helping me make this dream a reality! #gogators"
Not surprised, especially w/ the double legacy. 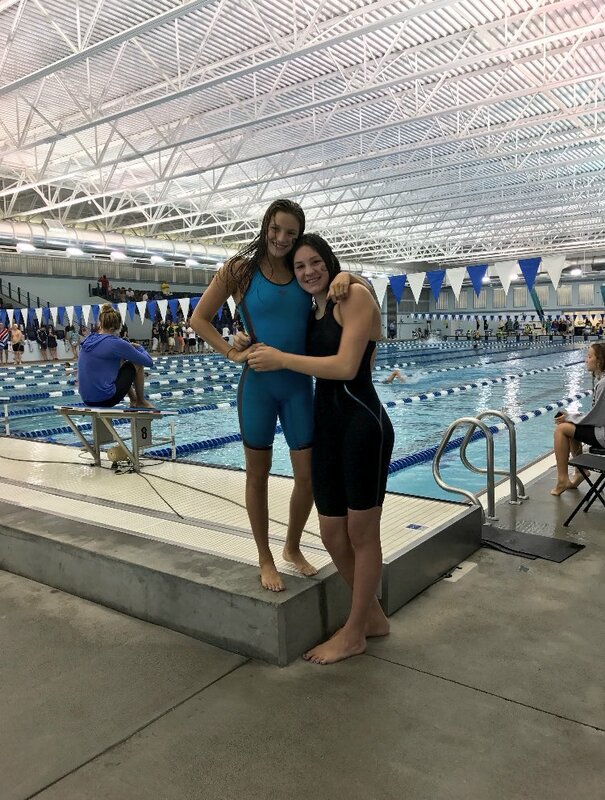 Her sister, Georgia Bates (c/o 2021) is also quite a stellar swimmer, and won't be surprised to see her go to UF either. It's quite an early commitment, but it's already the third of the 2019 class (Emily Weiss - UF, Jarod Arroyo - ASU). It will be interesting how this will affect the recruiting of fellow classmates and teammates, Caitlin Brooks and Isabel Ivey. Kathleen: "I'm extremely excited to announce my verbal commitment to swim for the University of Florida! Thank you to my coaches, family and friends for supporting me. Can't wait to be a Gator!" UF w/ 2 good recruits this early...4th recruit for 2019-2020 season. It's quite startling how fast these recruits are coming in, but a lot of the FL swimmers are commiting to UF. Florida has a lot of great swimmers this year, not only Golding and Bates, but also Brooks, Smutny, and Ivey. UF w/ 2 good recruits this early...4th recruit for 2019-2020 season. It's quite startling how fast these recruits are coming in, but a lot of the FL swimmers are committing to UF. Florida has a lot of great swimmers this year, not only Golding and Bates, but also Brooks, Smutny, and Ivey. Isabel: I feel that she's really only be going a few places: here, UF (club team affiliation), Texas (took a recent trip), and insert whatever other school she may be interested in. However, I'm going to say that our chances with her are pretty good (unless she suddenly takes on an interest with the Furds) as is 1) following both our men's, women's teams and numerous commits/present swimmers here and 2) one of y'all has apparently found a pic of her in Cal sweats (or other gear). Caitlin: So the word on the street is that she's following most to all of the NCAA D1 powerhouses (shoutout @ bearz012!). She could really be headed anywhere, but given Talia's commitment to the Gators this early, this could define the 2019 recruiting path. Mary: First of all, I had absolutely no idea who she was until she was brought up in this very thread. I'm not going to say anything about her, because I don't know much about her. Ivey, who transferred from Oak Hall to Buchholz her junior year, won both the 200-yard freestyle (1:44.68) and 100 breaststroke (1:00.99), in which she set a state record. She was named Florida Dairy Farmers Miss Swimming earlier this month. In two years, Ivey has four state titles, winning the Class 1A 200 individual medley and 50 free as a sophomore at Oak Hall. In winning the 200 free, she outdueled defending 4A state champion and record holder Morgan Tankersley of Tampa Plant. "I didn't pick my events, they filled everyone else out and put me where they needed me," Ivey said. "I can swim anything. "When I swam her (Tankersley), I thought I am definitely going to get this. It was so much fun. She had a good race too. She went faster at juniors (nationals), so that is good. She is going to Stanford." While Ivey is looking to announce her college decision after the NCAA championships in March, Bates, a junior, made her college choice known a week ago in announcing her commitment to Florida. Went through Izzy's insta profile, and looks like it's not just us, her hometown Gators, and the Horns that she has inflicted interest in. Apparently, she may have also taken in an interest with our "friends" down south, the Lady Trojans and the Furd (although I think she may have unfollowed them since last I checked due to them not being on there anymore). Some prospects: Zoie Hartman, Regan Smith, Jade Hannah, Faith Knelson, Kayla Sanchez, Mary Smutny & Texas swimmers Kaitlynn Sims, Lindsay Looney, Ashlyn Fiorilli, Ella Collins, Emma Wheal, Natalie Whalen, Emma Stephenson, Sydney Stanford. Racing on the men's side is a bunch of pros (Murphy, Adrian, Vollmer, Prenot, Shields, Pebley) and 2018 commits Reece Whitley and Daniel O'Connell. Are there any 2019 men's prospects competing that we should consider, whether it be in state (TX or Cali) or across the entire country, and is it time to start a 2019 Men's recruiting thread? is it time to start a 2019 Men's recruiting thread? Alright, so while there are a few early commits on the class of 2023 on the men's side to schools not named Cal, I feel like these 4 in-state recruits should be the standard for this recruiting cycle. Chloe- She is the type of versatile swimmer that Teri is aiming for. She comes from Sierra Marlins, which is where 2017 frosh Bryce on the men's side is from. She's also friends/club teammates with Jennifer Lathrop, a current UCLA freshman swimmer. Overall, she looks to be mostly a backstroker with PBs of 53.23/1:56.79, respectively, not to underestimate her breast/IM/sprint free capabilities. Miranda- Proficient distance swimmer extending in the ranges of 200-the mile. She was a 2017 World Junior Team member, so that could very well impact her decision. Swimming with the Pleasanton Seahawks, she's teammates with 2018 commit Chris Jhong, and current Florida Gator Maxime Rooney. She holds times of 1:46.79/4:41.53/9:50.10/16:28.51 amongst her range of freestyle. Her backstroke (55.61/1:59.79) and 100 fly (55.88) are more than sufficient for a distance swimmer, and her 400 IM (4:15.91) is also very solid. Ayla- Looks to be an excellent sprint freestyler who can potentially cover relay slots in the future with more development (23.19/49.29/1:46.64 50-200 free). 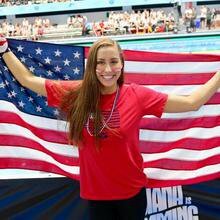 She comes from Irvine Novaquatics, which is where Courtney Mykkanen came from. However, she's club teammates with Isabelle Odgers (2018 Trojan commit), Owen Kao (2018 Trojan commit), and Andrew Koustik (2018 Horns commit). Not to mention, current Lady Longhorn swimmer Rebecca Millard is also from Nova so that may be taken into consideration. Her backstroke times are also similar to that of Chloe's, and maintains a solid 100 fly/200 IM. Zoie- She comes from the Crow Canyon Sharks,, which is where Maddie and 2018 commit Daniel O'Connell on the men's side come from. I doubt that the Furds would want her as they have freshman Grace and 2018 commits Zoe and Allie holding down breast pretty well. Her 50 free time of 22.94 is solid, and her 100/200 free times of 49.15/1:47.67 are very developmental, and could make for a key player on the 800 free relay especially since both Thleen and Katie McL are on that relay. Actually, for Chloe, I see her more of an Emma Muzzy (NC State commit)-like swimmer, with a good 200 IM (I'm pretty sure Emma had around the same time too) with backstroke being her strongest stroke. Think her lineup would be similar to Keaton's and Thleen's (if she were to come here haha), with 100/200 back, 200 IM. For Miranda, I can't decide whether she'd swim 200/500/1650 or 500/1650/400 IM. Probably wouldn't be a relay player, and her times seem to be pretty much equal w/ Chenoa's. I don't see Teri recruiting someone with the same times as Chenoa, but if she could drop more time (esp. in 200 free), it might add a lot more value to her. Ayla has pretty much the same times as Chloe in backstroke (actually, they both go 53.46 in 100 back), just a bit slower in 200 back. Both have times similar to current frosh Sophie K-Z. As I was looking through her best times, I noticed that they were all done pretty recently, indicating a high improvement curve (similar to baby bear Ema Rajic's improvement curve in breast) which could be pretty promising. Okay, so other than Ivey, my top choice for 2019 would be Zoie Hartman, as she's a breaststroker but can also sprint a 50 free AND swim a good 200 IM. I feel like most breaststrokers are either 100/200 breast and 50 free or 100/200 breast and 200 IM, so this is exciting. Also, she dropped loads of time @ Junior Nats just recently. For example, she was 2:00.0 in 200 IM coming into Juniors, but then dropped a 1:58 @ prelims, and then lowered in back down to a 1:57.7. 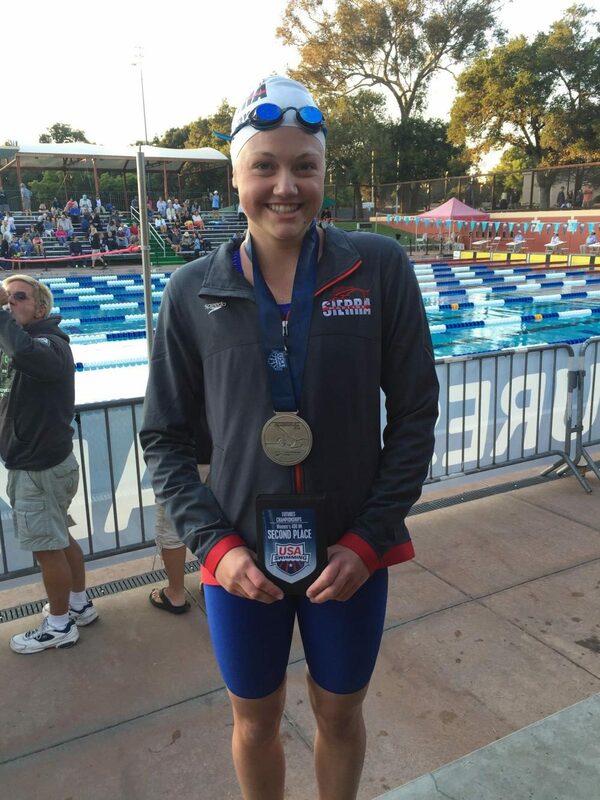 Her 200 breast progress is similar: 2:11.8 before Juniors, then went a 2:10.5 in prelims, and finally, a 2:08.6 in finals. Also dropped a second in 100 breast. Both her 100 and 200 breast would rank #3 in the All-Times List. 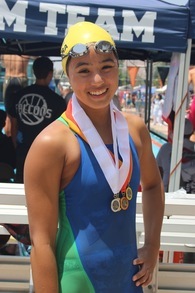 The #4 California recruit, Alexandra Crisera, swims at Southern California Swimming & Mira Costa HS (swimmer19, could you find any connections to Cal?) She has solid 50/100/200 free times (22.4/48.8/1:47.0) and projects as a free/back swimmer. UPDATE: Further research does incline that the "Southern California Swimming" refers to the LSC. She actually does her club swimming with Beach Cities Swimming. As of right now, we project no known ties to Cal in any way, but her sprint free times are a notch above the other in-staters in the class (50/100 free). If she were to come to Cal, she has potential to earn relay spots in the future. Have just realised that I never got round to thanking bearz012 for the cracking research & enthusiasm in starting this thread, and swimmer19 as well for all their valued contributions here! Izzie remains my dream recruit for this class, having talked her up quite a bit on the board ever since her stellar 2016 Junior Pan Pacs exploits lol. The fragility of social media extrapolations and Isabel's friendship with Baby Bear Cassidy aside haha, I'm keeping me fingers crossed that Ivey would like to keep her streak of beating her state rival (baby furdette) Morgan alive by continuing that tradition @ Cal come 2019 :p If that's somehow not meant to be, then surely Izzy would feel right at home staying with the Gators...for selfish reasons hehe, I'd be less crushed over that scenario for Izzie than one involving the Furd, Horns, Trojanettes or Dawgs! Jade and Faith visited 'SC in July 2017, and are both mostly looking at west coast schools (Cal, USC, ASU, LSJU) Doubt either are going to go to LSJU, but USC is defintely a contender. Jade's probably more likely to come to Cal than Faith, but don't forget that they can both just go to UofT and go pro at the same time. Izzie remains my dream recruit for this class, having talked her up quite a bit on the board ever since her stellar 2016 Junior Pan Pacs exploits lol. The fragility of social media extrapolations aside haha, I'm keeping me fingers crossed that Ivey would like to keep her streak of beating her state rival (baby furdette) Morgan alive by continuing that tradition @ Cal come 2019 :p If that's somehow not meant to be, then surely Izzy would feel right at home staying with the Gators...for selfish reasons hehe, I'd be less crushed over that scenario for Izzie than one involving the Furd, Horns, Trojanettes or Dawgs! Still haven't given up on Kate wearing the blue & gold, but at the same time preparing to face the bleak possibility of her favouring the farm...although reckon Douglass' academics would be very well catered to by the Cavaliers, Blue Devils or Tar Heels, and would naturally cheer her on to choosing these fine institutions, or ASU & UofA, over LSJU & '$C! Have already started focussing on 2020 in the form of massively versatile Alex & Regan (ummm, latter may be a furd lean ~gulp~)... But liking many of the 2019 in-state talent that have been extensively discussed on these pages, with perhaps Zoie being one of the frontrunners amongst the group for me. 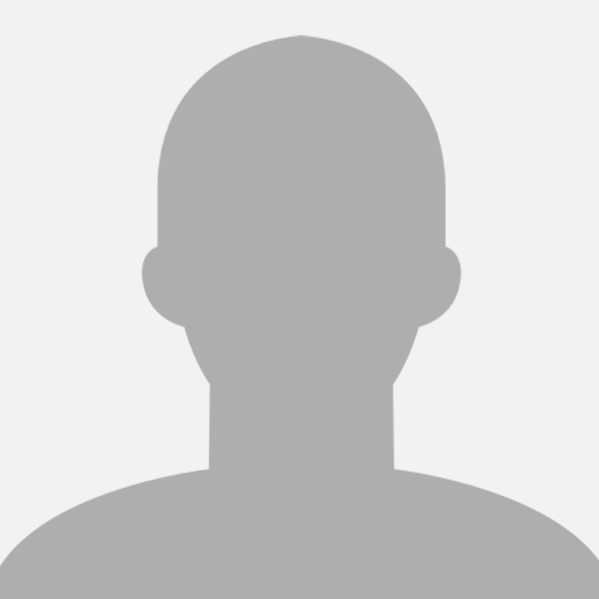 UAC- thanks for providing all of the links to the previous forums! What I think we should be asking right now, is what exactly do we need to replace in 2019? Well, we're at a loss of points in Thleen's backstrokes/200 IM, Katie McL's 200 Fly (I'm not entirely sure what she swam at NCs), and Amy's sprints/backstrokes, and the relay values of the big three. Isabel and Zoie, as we have all discussed extensively, are the must-haves for this class. Isabel being an everything can-do perfectly well swimmer, and Zoie bringing in breaststroke talent with a mean 50 free/200IM. The only part where I would see that we would need Kate D. is for sprint free and relay value. As you all know, she's gone almost sub-22 flat start, and with Amy being a big part of the 200 free relay, would be a nice substitute to that. The Canadian ladies have an in with frosh Sarah Darcel, although it's very hard to predict internationals. Previously, as I mentioned, Miranda Heckman was one of the 5 in-state recruits that we would need for this class. However, as someone mentioned, she has very similar, if not, almost exact same times as Chenoa. I believe that if we can recruit Miranda, and train both her and Chenoa to NCAA scoring levels (let's not get too wild about this ) then it can offset the margin of distance points between us and the Furd. Not to spread bad luck, but I won't be surprised if Kate heads over to UVA, where former NC State coach Todd Desorbo has been recruiting a bunch of sprinters and doing well with their current sprinters. Missoula Aquatic Club swimmer Katharine Berkoff climbed the ladder on Friday at the 2018 Washington Open and continued to build her own history book in the backstroke races. 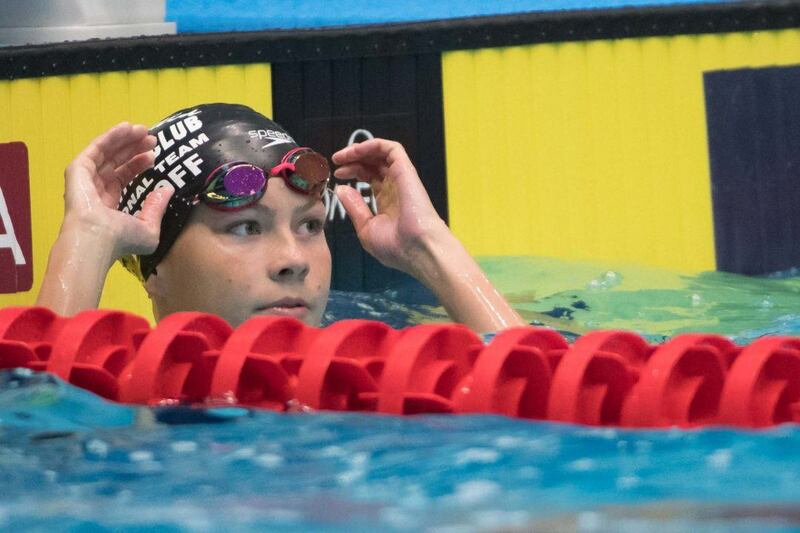 The 16-year old won the girls' 200 yard back in 1:52.26, which jumped her from her previous rank as 18th-best in the age group's history all the way to 9th, moving her ahead of backstroking legends like Missy Franklin and Elizabeth Beisel. Berkoff (#11 Nat, #1 MT) is one to watch. She recently dropped a 51.95 in the 100 at Junior Nats, but was beaten by Furd Commit Lucie Nordmann in the 200 back, but again dropped even more time at this meet. Original best times before this season were 52.65 and 1:53.64. She's the daughter of Olympian David Berkoff, who attended Harvard. Berkoff (#11 Nat, #1 MT) is one to watch. She recently dropped a 51.95 in the 100 at Junior Nats, but was beaten by Furd Commit Lucie Nordmann, but again dropped even more time at this meet. Original best times before this season were 52.65 and 1:53.64. She's the daughter of Olympian David Berkoff, who attended Harvard. Good call there, +1 on adding Katharine Berkoff (#11 Nat, #1 MT) to the shortlist! However, Katharine's casting her net far & side, so we could have competition from schools & programmes as diverse as the Furdettes, Dawgs, Trojans, Wolfpack, Wolverines, Cardinals, Cavaliers, Tar Heels, Volunteers, Sun Devils, Buckeyes, Kentucky Wildcats, Seminoles...to name but a few! Mary may or may not be considering recruiting trips to check out the Cavaliers, Wolfpack, Gators & Seminoles (in addition to Bears). Some of our swim rivals vying for Miranda's commitment may include the Furdettes, Trojanettes, Hoosiers, Aggies & Horns. Heckman's from the same club team as swim alumna Celina & Baby Bear Chris J.
Miranda was hanging out at Uytengsu Aquatics Ctr today (Trojans pool), incidentally. 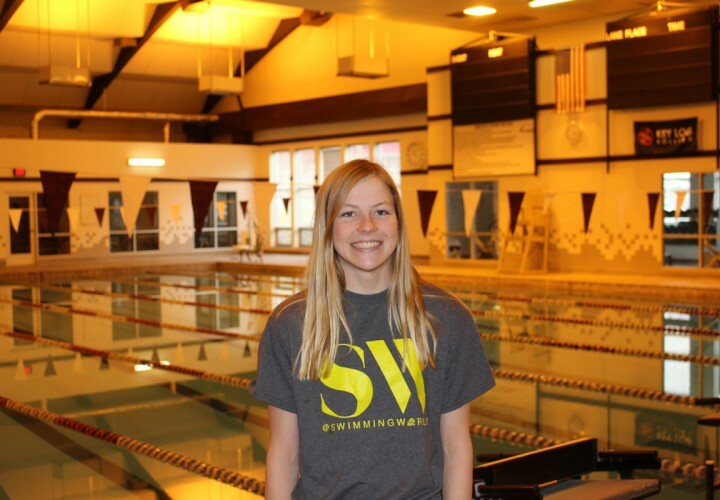 For my third recruit, I struggled on whether I'd prefer a local or a swimmer that we have a connection with (Carmel Swim Club), but ultimately, for my third recruit, it'd be Chloe Clark (#17 Nat, #3 CA). You might be wondering as to why I chose such a "lower-ranked" recruit, it's because of her versatility. I tried to find the most versatile recruits, and I think that a lot of the distance swimmers (Donohoe, Heckman, Sims) are ranked too high, especially when they can only swim 500/1000/1650 free (I'm a fan of distance freestylers, don't get me wrong.) However, Chloe is pretty versatile, with her weakest stroke being butterfly, in which she still has a solid time of 55.15, though her best event is IM. So I made the trip to ATX for the PSS this past weekend, and while watching the new format of swimming, scouted out some recruits. 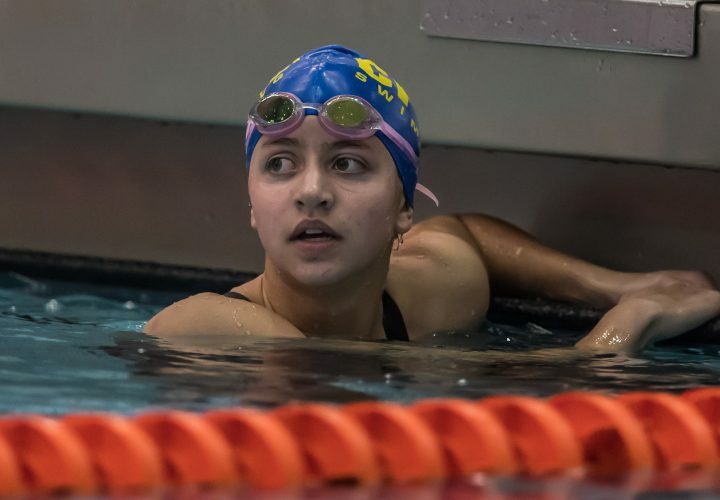 The in-state (TX) swimmers have their high school champs (districts/regionals/state) coming up in the next two weeks, and are likely using this as a tune-up meet before taper begins! 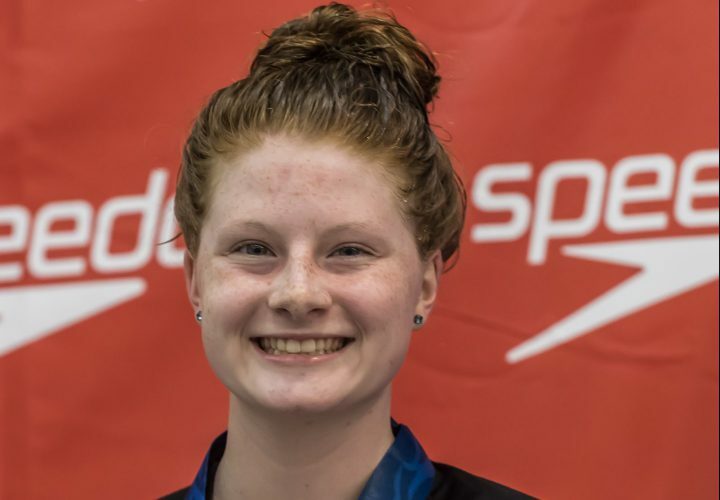 -Claire Donan (2020, Triton Swimming, Louisville, KY): Well the KY State meet follows the TX schedule, supposed to come within the next several weeks, so her performances aren't indicative of her talent. 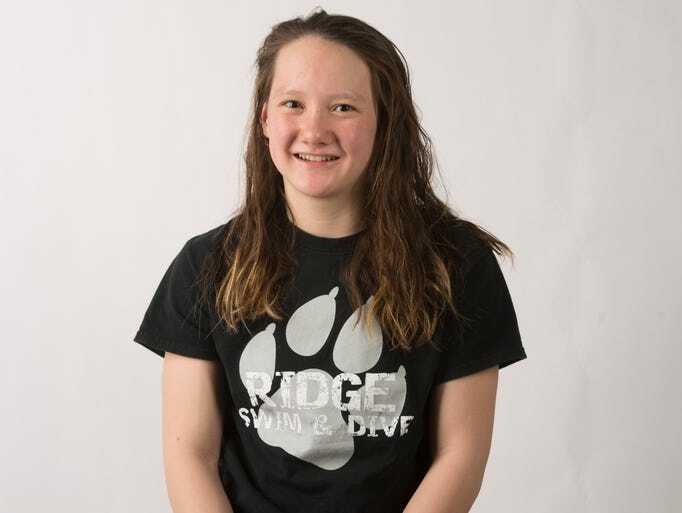 Longtime competitor of our 2019 recruit Zoie, she excels in the breaststrokes and IM. Finaled in the breaststrokes and IMs at Knoxville, went a best time in the 200 back as well there. Solid freestyles (esp. 200) as well. -Lillie Nordmann (2020, Magnolia Aquatic Club, The Woodlands, TX): She's the sister of Lucie (Furd commit), so that will make a heavy impact on her decision. Also was spotted with a Furd t-shirt on as well... May be influenced by Kaitlynn Sims, the two are club teammates, and Emily Reese, longhorns swimmer. She's an excellent flyer/freestyler (broke 1:00 in the LC 100 fly this past weekend for the first time!) and holds a sufficient IM. Brings in lots of relay value as well. -Ella Collins (2019, Austin Swim Club, ATX): Another Texas recruit. She's very well suited in her event(s), 100/200 free. More than proficient back/fly. Literally BFFs with the ASC crew (Kendall Shields (lady longhorns 2018 commit), Diana Dunn (UofL 2018 commit), Dakota Luther (UGA 2018 commit)), so that will influence her decision in one way or another. 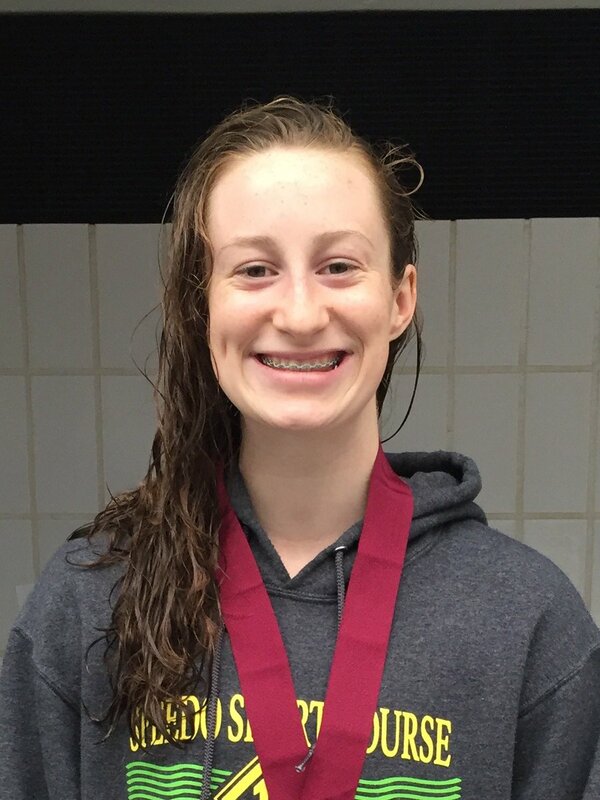 -Katherine Zenick (2020, Lakeside Aquatic Club, Southlake, TX): Same event repertoire as Emma Sticklen (similar times minus freestyles), but with a nicely added 200/400IM as well. However, she's high school teammates with 2018 Furd commit Jack LeVant and 2018 Horns commit Alex Zettle, so...??? Also was club teammates with current furdie Lauren Pitzer. -Emma Wheal (2019, Western Hills Athletic Club, ATX): Her coach is Ian Crocker, Horns alum, so that may be played in the game. HS teammates with Dakota Luther and Morgan Johnson, the latter of whom is headed to GTech. Sprint everything (minus breast), so briings in high relay values. -Kaitlynn Sims (2019, Magnolia Aquatic Club, Montgomery(?? ), TX): So. No HS connections (rather isolated part of the HTX metro area), club teammates with Lucie and Lillie Nordmann, the former of whom will be reppin the Furd. Also former teammates with Emily Reese, current lady longhorn swimmer. Big-time distance swimmer and great 4IMer. -Most TX teams competing, lack their all-star guys, and I'm not as familiar with the boys who competed here, so I'm not going to mention anything due to my lack of familiarity with them. Just to put faces to a few of these names, see below...I'm certain Bears swim alumna Coach Carol would love to hook all of 'em for the Horns!